Are you getting your green ready? Monday is St. Patrick's Day and we are celebrating here at The Cottage. We have traditional food that we always make on St. Patrick's Day and have fond remembrances of our Irish family members. We have been real busy here in the garden getting all the spring beds cleaned and ready for planting. One of the new fun things that we are working on is our little green house, you will be hearing more about that as we go along. 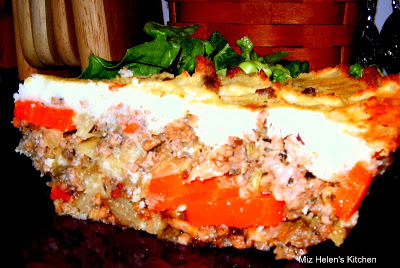 We better get busy on this meal planning for next week before we head out to the market. I am so happy to spend some time with you today and hope that you have a wonderful St. Patrick's Day and a great week! Hope you have an opportunity to enjoy your spring and come back to see us real soon! 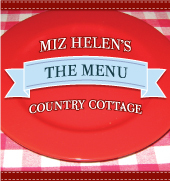 Sounds like a wonderful menu, Miz Helen! Thanks for sharing at Simple Supper Tuesday. Sounds so good! The lemon meringue pie and the ham and asparagus quiche would definitely be hits at our house. Have a great week!